Keeping in sync with the latest market norms and policies, we are indulged in providing a high-quality range of Printed Decorative Horn Box. 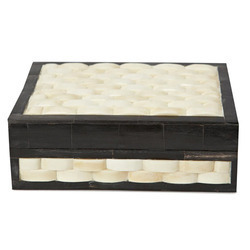 Being a customer-focused organization, we bring forth finely carved Horn and Bone Boxes. The Horn and Bone Boxes, offered by us, are designed by well-versed artists using bones and horns of various animals. Our Horn and Bone Boxes can be acquired in various styles, appealing designs and colors. Moreover, the Horn and Bone Boxes that we offer can be used for storing jewelry and other items. We are manufacturing Horn Box to our clients. 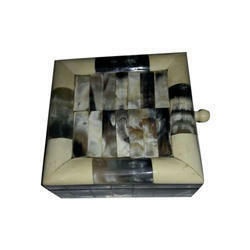 These Horn Box manufactured by using good quality raw material. We offer in various designs, shapes and sizes. These are customized as per client specification and are available in reasonable prices.